Be advised that President Recep Erdogan, the leader of Turkey has publicly announced that his country will not be observing the newly reinstated economic sanctions imposed by the United States against the Islamic Republic of Iran. 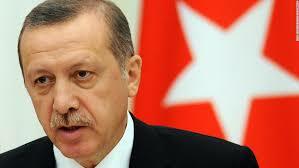 Erdogan stated that the sanctions smacked of "imperialism," and would upset the global economy. Turkey, which purchases natural gas from Iran, for heating homes, is receiving a limited exemption from the US for that purpose, but not on all the other goods and products of American origin. 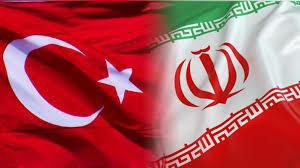 While the UAE was the principal Iran sanctions evasion destination for illegal transshipment of goods during the prior sanctions period, Turkey, which is a nominal US ally and NATO partner, could replace it this time around. (1) Has the client's sales volume of exports to Turkey now greatly increased ? (2) Are there any transactions that are inconsistent with the client's prior business model ? (3) Are there transactions that are commercially unprofitable ? (4) Is your client now shipping to new clients not known before today ? (5) Are any of the goods dual-purpose, meaning could they be used in Iran's illegal WMD or ballistic missile programs ? Make sure you initiate Enhanced Due Diligence on any new client customer companies in Turkey. Are the officers or directors Iranian nationals ? Are any of the recipient companies newly formed ? Alert your front line compliance staff to be watchful for any suspicious activities, and consult with your legal counsel should you believe a bank customer may be engaging in exports that could constitute sanctions evasion. I suggest that you require your bank clients to supply your compliance officers with copies of passports of the officers at the Turkish companies, to insure that you do not get the latest version of Reza Zarrab, Alireza Monfared or Babak Zanjani, the Iran sanctions evasion specialists that ran Iran's billion dollar oil-for-gold sanctions evasion program. 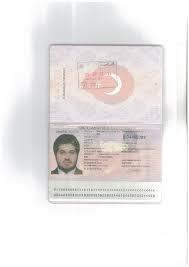 Zarrab had Turkish, Iranian and even European passports. Take the passports your bank customers send you, and run them through a good facial recognition system, to make sure their "buyers" are not intelligence agents, like Zarrab, or officers in the Kuds branch of the IRGC, the Revolutionary Guard of Iran.